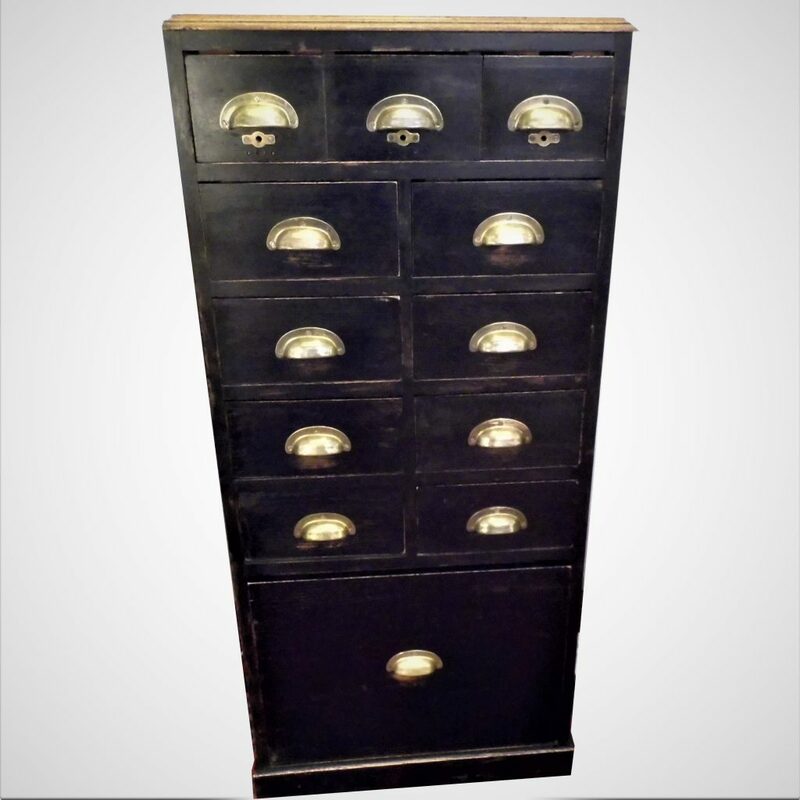 An attractive Ebonised Bank of Drawers made in England circa 1930. 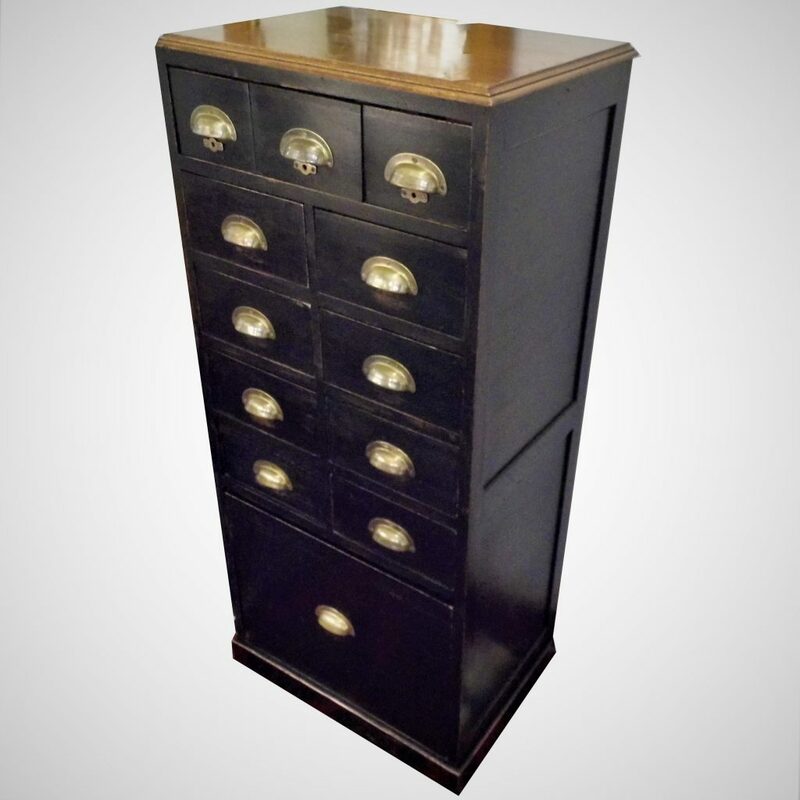 This set of 12 drawers is unusually tall and slim making them ideal floor areas where floor space is limited. These drawers measure 127 cm high by 56 cm wide by 40 cm deep.